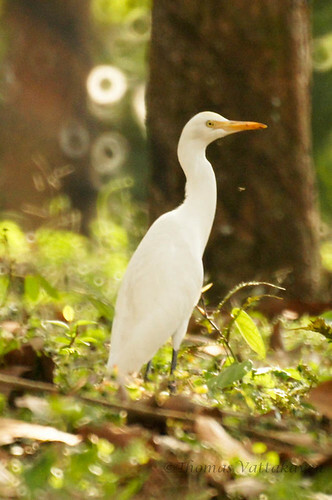 Nature Magnified: Why is a Cattle Egret called that? 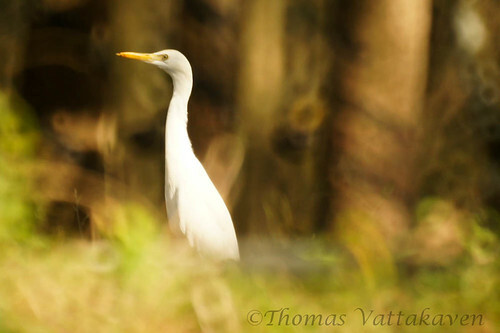 Why is a Cattle Egret called that? 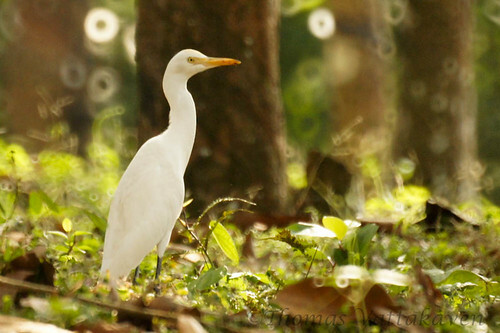 The cattle egret, (Bubulcus ibis) is usually found near cattle which are grazing. 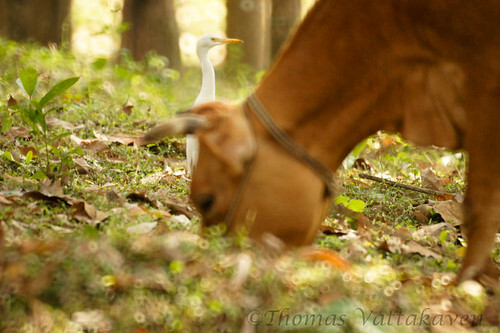 They prey on little creatures such as insects and frogs, that are disturbed by the cattle. 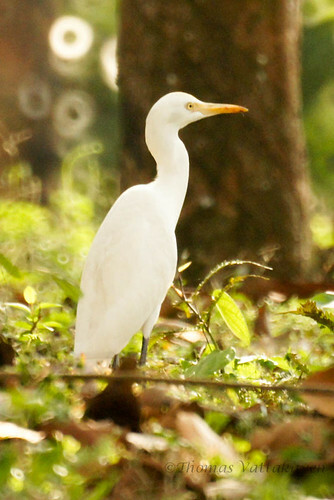 This strategy finds them much better success than when feeding singly. 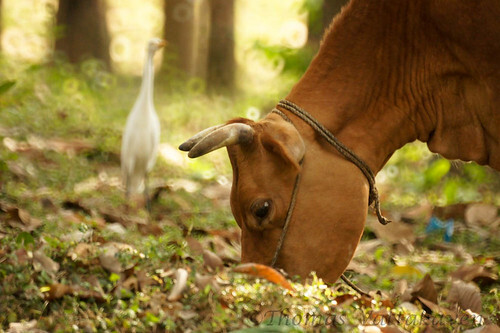 Usually only single birds appear associated with a single animal, however, when groups are found, they appear around fast moving cattle. 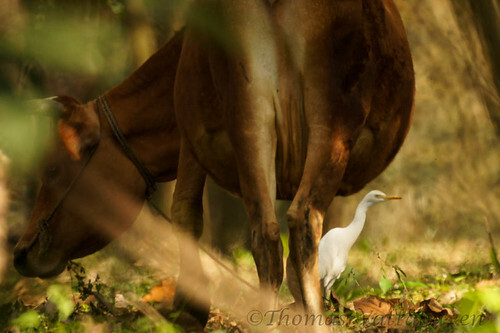 This habit of following cattle has earned it the name – cattle egret, but it is also referred to variously as the cow crane, cow bird or cow heron, or even elephant bird, rhinoceros egret. Beautiful, mirror lens trademark there.